Congratulations! You’ve made an investment in your home décor. Now that you’re sitting back, relaxing, and enjoying your new surroundings, we know you’ll want to keep things looking this new for a long time. The great news is that Bassett furniture is built to last—the same as we did more than 100 years ago. So, with minimal maintenance, your wood furniture will be a lasting masterpiece. Here’s what you need to know about how to care for wood furniture. Taking care of wood furniture is easy. You don’t have to dust your furniture every day, but we do recommend a quick cleaning once a week. Simply wipe down your furniture with the dampened cloth. Then wipe away any remaining moisture with a dry cloth. Use cotton, as syntetic fibers can cause surface scrathes. For Bassett’s Custom Dining and Bench*Made collections, a performance finish is applied, and that can be cleaned with a 100% cotton cloth slightly dampened with water and a mild dish detergent. Be sure to wipe away any detergent residue, and follow with a clean, dry cloth. 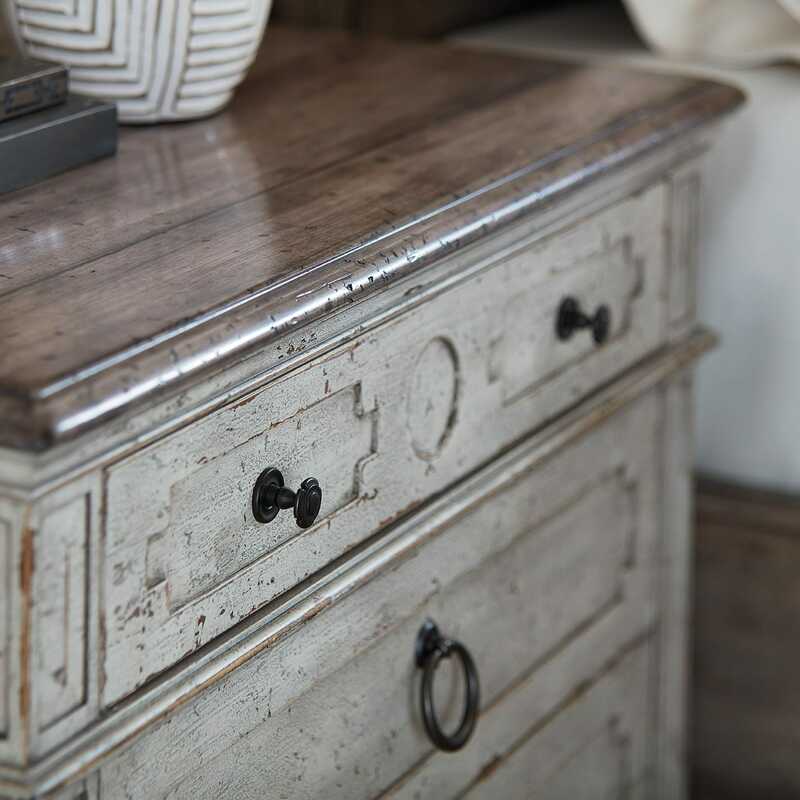 Most finishes today are designed to be low sheen with no “luster.” So, to maintain the beautiful finish on your wood furniture, we recommend avoiding wax-based polishes and polishes containing silicon. These products will accumulate in crevasses of the wood grain, contaminate your finish, and detract from the overall look of your furniture. As with anything you buy, misuse or abuse can create damage over time. So, here are a few do’s and don’ts that will help prevent damage to your beautiful wood furniture. Always use a coaster under glasses, mugs, plates, etc. Use a pad under hot plates and pizza boxes. Hot, cold or moist items will react with the wood surface and create discolored white rings or other marks. Use felt pads under lamps, vases, some coasters. and other decorative accessories that may scratch the surface when moved. Avoid allowing plastic, nylon, or rubber materials to remain in contact with your wood surface. This includes the feet on computers, alarm clocks, and other electronics. These items can cause an adverse reaction with your wood finish over time. Avoid resting your feet on the furniture. Embellishments and rough or sharp edges on shoes can scratch your wood furniture. Don’t let pets walk across or scratch your wood furniture. As much as we love our furballs, they can cause inadvertent damage too. Besides, the carpet or your lap are probably a lot more comfortable! When writing, place something thicker underneath your paper, such as a book or magazine. 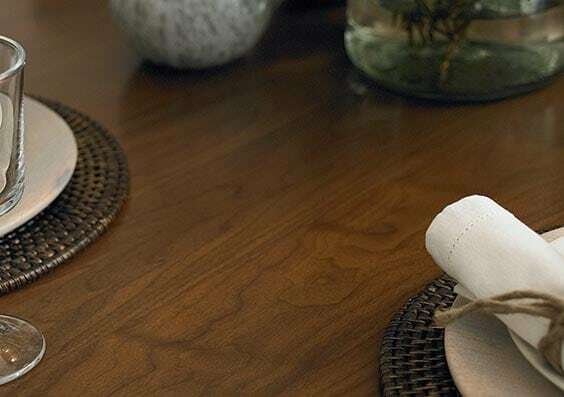 Wood is soft, so your handwriting can travel through the paper and onto your tabletop. Keep your furniture away from a fireplace and heating and cooling vents; away from moisture sources, such as humidifiers; and out of direct sunlight. As much as we love the sun, it can be brutal. Just look at what it can do to your skin in a few hours or to a newspaper in a day. Daily exposure to heat or sunlight - even indirect sunlight – may fade your wood finishes and dry the wood, which can create cracks over time. Control your climate. Wood can swell or contract, depending on the surrounding atmosphere. If you live in a dry area, you may need to use a humidifier in your home. And if you live in a humid environment, you may need to control the moisture in your home. Minor Scratches and Dents: For a quick touch-up, you can match a marker, shoe polish or a furniture pen color to the finish of your furniture. Simply rub it into the affected area and your blemish will be less noticeable or barely noticeable at all. That Annoying White Ring: Woops! You forgot to use a coaster… or your child put a hot dish right on the table surface. Water marks, or white rings, are a result of moisture from a glass or bottle migrating into the outer surface of the furniture’s coating. You can try the following home remedies to remove the moisture from your wood surface. Softly wipe the ring with rubbing alcohol. As the alcohol evaporates, it may draw moisture from the immediate area, reducing the coating on the surface. Iron the white ring using medium heat over a cotton cloth. The heat may assist in removing the outer surface moisture. Try using Guardsman™ water ring remover, found online. This product has great reviews. For higher wood surface sheens (40+), wipe the surface with a 1:1 combination of vinegar and olive oil. Then clean with a soft, dry cloth. At Bassett, we want to help you take care of your furniture the best way possible. Bassett recommends the Guardsman® Protection Plan for your wood furniture repair needs. This Plan does not cover cleaning, maintenance, or stains and damage caused by normal or ordinary wear-and-tear. To learn more about our furniture and the Guardsman Protection Plan, set up a design appointment today.